Apple’s website now has availability of the new Mac Pro, after the company earlier released news online sales would commence on December 19, 2013. After going down earlier this evening, the Apple Store online was refreshed with order availability of the new Mac Pro. Canadian prices start at $3,099 CAD for the Quad-Core setup and $4,099 CAD for the 6-core setup. Both configurations say they are available to ship in January. Canadians will pay a $100 premium versus the USA; our American friends will have theirs available by December 30. 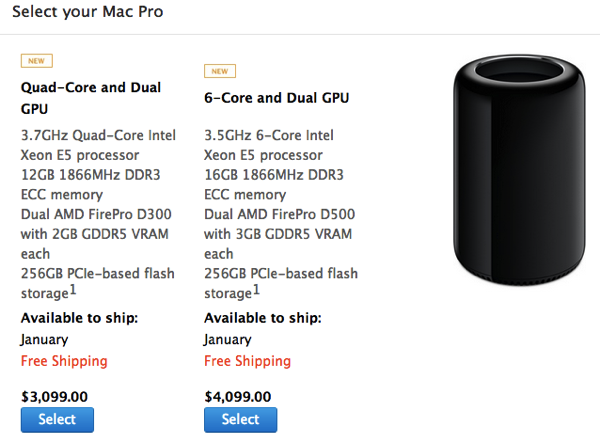 Who’s picking up a Mac Pro? 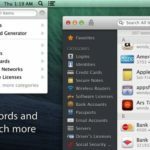 What will you be using it for (other than just Facebook)?